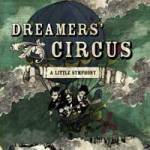 The first full length album of the Danish band Dreamers' Circus gives me a great excuse to write about Danish music again. 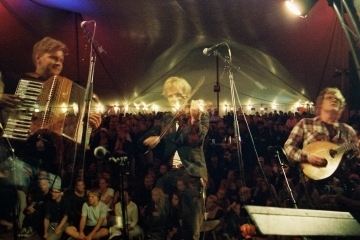 Looking back at over fourteen years of reviewing and interviewing there have not been many Danish bands I wrote a whole article about. Strange, because I hear a lot of Danish music, lived in Denmark for a while, still go there once or twice a year and I’m probably the biggest Savage Rose fan outside of Denmark. So time to start writing, and the fabulous new album of this Danish band gave me more than enough reason to contact Nikolaj Busk and ask about the band, the new album and Danish music in general. 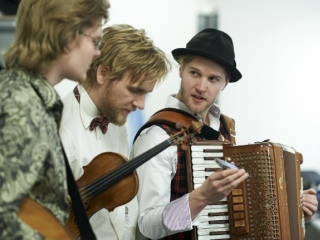 Nikolaj Busk tells that music has been a natural part of their life for him, Ale Carr and Rune Tonsgaard Sørensen. They all started to play instruments at a young age and were lucky to grow up in a surrounding where music was a tool to have fun. In a later stage they discovered they had some kind of special talent and started to realise that maybe music could be their professional job one day. Photo Credits: Dreamers' Circus: (1), (3)-(4) unknown/website; (2) by Caroline Bittencourt.